OMG! 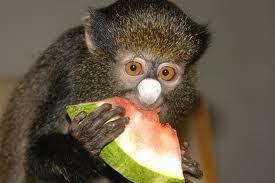 Monkeys can read! Planet of the apes is coming! Not really. OMG! 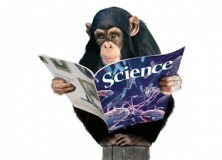 Monkeys can read! Planet of the apes is coming! Not really. 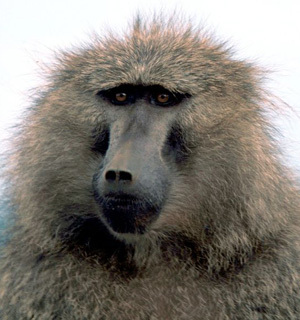 A new paper in Science by Grainger, Dufau, Montant, Ziegler and Fagot at the Aix-Marseille University found that Guinea baboons can be trained to differentiate between four letter English words and nonsense words. 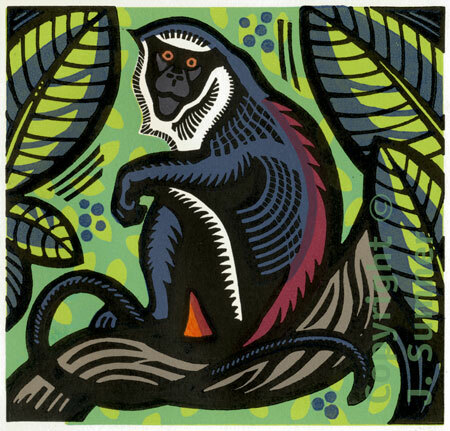 One monkey called Dan could recognise up to 300 written words, and by “recognise” I mean he knew those words could give him a treat, not that he could recognise that they signified objects in the world, which is what we mean when we say that a human has “recognised” a word. It’s a minefield isn’t it? I wonder to what degree this is just a memory test or if the monkeys really are noticing relations between the letters which make up the words, as opposed to the nonsense words. The paper probably answers this. Bloody pay walls… Either way, I don’t think this is evidence to suggest that the role of phoneme-letter matching in humans learning to read should be undermined. Analogy is a trait thought to be uniquely human and the origin is largely unknown. Recent studies have suggested that some language trained apes can find relations between relations, which is thought to be what is at the root of analogy. However, a new study in the journal Psychological Science has tested baboons using shapes with matching features. These baboons were able to match pairs which had matching features and pairs which had no matching features. The study was run by Joël Fagot of the Laboratoire de Psychologie Cognitive (CNRS/Université de Provence) and Roger Thompson of the Franklin & Marshall College (United States). It has been hypothesised in the past that finding relations between relations is an ability only accessible by language, but these new findings with baboons cast doubt on this assertion. The experiments were carried out on 29 baboons. The baboons were first shown two shapes on a screen. The baboons then touched one of these shapes and two other pairs of shapes appeared on the screen. To be successful at the task the baboons had to touch the pair representing the same relation as the initial pair. So if the first pair matched in a feature the baboon had to choose the pair which also had a matching feature, and avoid the pair where there was no matching feature, in order to gain a reward. This shows the inherent abilities behind analogy. 6 baboons correctly performed the task after thousands of trials of training showing that it is definitely within the abilities of old world monkeys to resolve analogy problems. The researchers also revisited the same baboons with the same task a year later and the monkeys were much quicker at acquiring the task showing that they remembered what to do. These results show that language is not necessary for analogy and leaves questions as to what might make this ability adaptive. Some of you may remember last summer Marc Hauser was found guilty of research misconduct. This investigation raised questions about several publications including a paper from 2007 in Science. This paper looked into the ability of non-human primates to understand the intentions of a human experimenter by interpreting his gestures. Today Science has published a partial replication of the study in question which confirms the original findings that chimpanzees, cotton-top tamarins, and rhesus macaques can distinguish intentional gestures, such as pointing to indicate a container with food inside, from “accidental” actions such as a hand flopping against a container. Hauser and Wood returned to Cayo Santiago island in Puerto Rico to redo the experiments from the 2007 paper with the same population of free-ranging rhesus monkeys. Their findings, including field notes and video trials, are available online and they essentially match those reported in the original paper. We stress that this new publication aims only to determine whether the original rhesus monkey experiments from the 2007 paper can be replicated. It has no bearing on questions raised about Dr. Hauser’s larger body of work. So is this replication a clarification of groundbreaking findings or could the monkey’s behaviour be down to the Clever Hans effect? Meanwhile investigations into Hauser’s research are still ongoing and he is still banned from teaching for the next academic year. Ok, so I was going to write an essay for my Origins of Language module on this but then got distracted by syntax (again) so I thought I’d put my thoughts in a blog post just so they don’t go to waste. 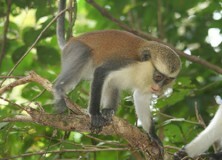 Diana monkeys, like vervet monkeys, use alarm calls to communicate the presence of a predator to other monkeys. They produce (and respond to) different alarm calls corresponding to how close the predator is, whether the predator is above or below them and whether the predator is a leopard or an eagle. They respond instantly regardless of how imminent an attack is. In this post I will explore some of the evidence relating to how sophisticated the Diana monkey’s understanding of the call’s meaning is and also the mental mechanisms relating to the call’s production. Zuberbühler (2000a) discusses some types of species which have alarm calls but instead of each alarm call representing a different predator, each alarm call represents a different level (or types) of danger. The aim of the Zuberbühler paper then, was to set out if this was the case for Diana monkeys or if they really did have referential ‘labels’ for different predators.